**New boat record undulate weighing in at 19lb 4oz**Well done Gary! Making full use of the fine weather we spent the morning catch a few whiting before heading off to the banks on the 20 mile mark. 4 blondes to 27lb were topped with 6 spurdogs to 21lb very close to the British boat record. Charles Worcester caught both the 27lb blonde and the 21lb spurdog - a superb achievement. 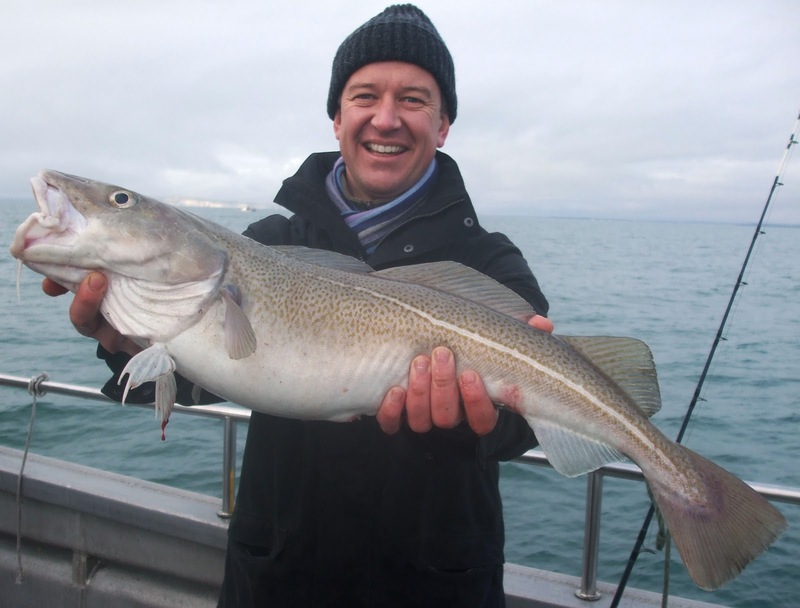 Robin Holloway with 18lb cod blind in one eye!